Finding your feet in a new city can be hard – even if you’ve lived there before a million moons ago. You get lost and you don’t have favourite places to go, it’s a blank canvas. Exciting but unfamiliar and my control freak side hates the thought of giving somewhere rubbish my money. Luckily we seem to be off the starting block by finding somewhere that has convenient opening hours, is near to work and that we feel welcomed and at ease in. 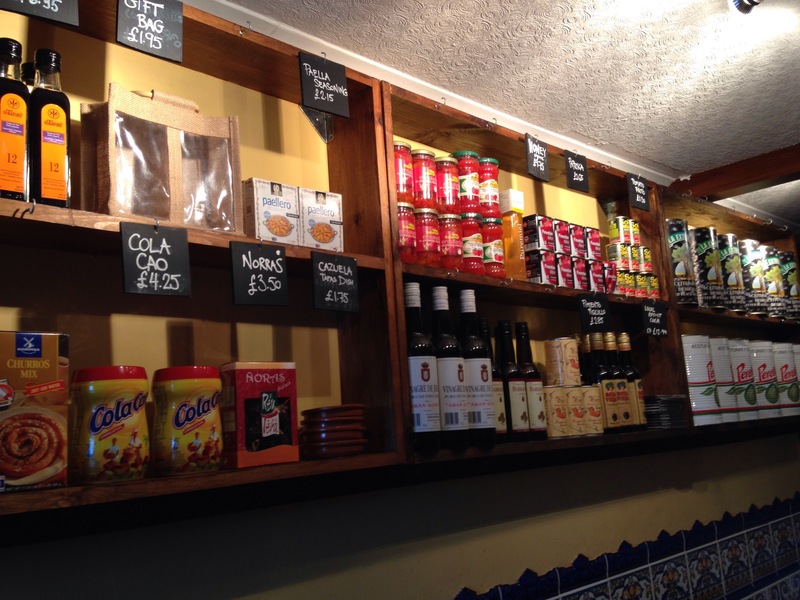 La Tortilla Asesina on Castle Street is a Spanish tapas restaurant that also has a bar area. A wee post-work glass of vino with some Spanish ham is my idea of bliss so you can see why we’ve been a few times. Last week after a mortgage appointment (yes, we are hopefully getting our house!) we felt like a celebratory lunch so ended up in La Tortilla Asesina. We have actually been here twice before in the last few years and the first time didn’t think much of it. The menu was massive and I think they were doing too many mediocre dishes – definitely quantity over quality. But the last time we visited before we moved up the road, they seem to have streamlined things and concentrate on doing more with less dishes. I’ll get my bugbear out of the way first – when you google this place no website comes up and their Facebook didn’t have any menu handy that I could see. Websites are expensive so I understand why small businesses don’t always have them but if they don’t then a pinned post of their menu on Facebook or regular photos of it (and on Twitter) then I often don’t go to places. Going to a new restaurant is all about reeling you in but La Tortilla is putting no bait out. So it was unsurprisingly quiet on the Wednesday lunchtime that we visited. 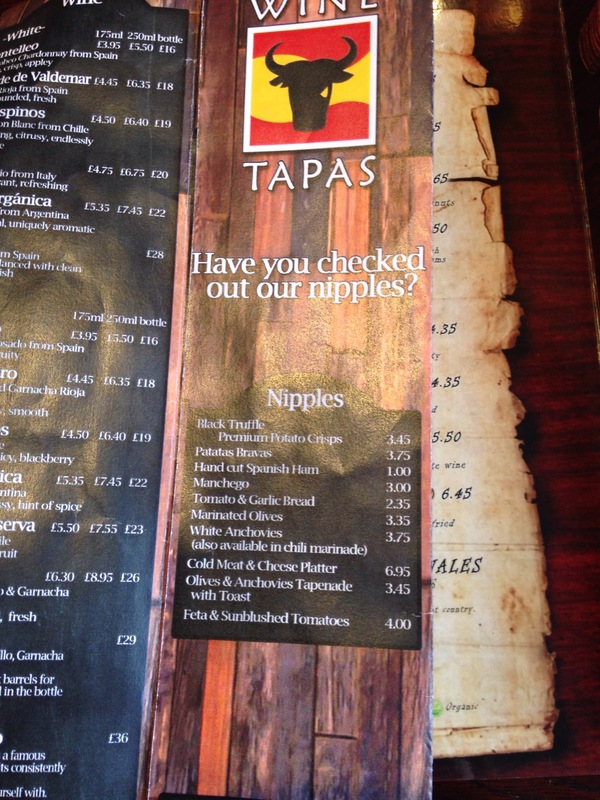 They do a fantastic lunch deal with two tapas for £5 that we didn’t know about – why they are not screaming about this on social media I don’t know. Mr S and I shared a selection of dishes and they gave us free bread too. 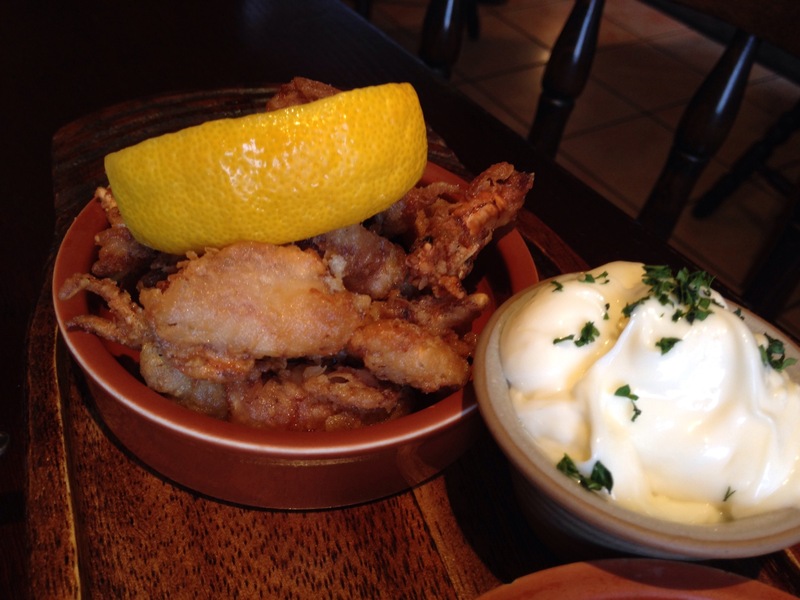 My first choice was chipirones – fried tiny baby squid. I would never have ordered this before but my father in-law loves it and after trying his I’m hooked. Chipirones just seems to have so much more flavour than calamari and less rubber to it – more like little fishy, salty bites. They were lovely and crunchy – a definite high point. 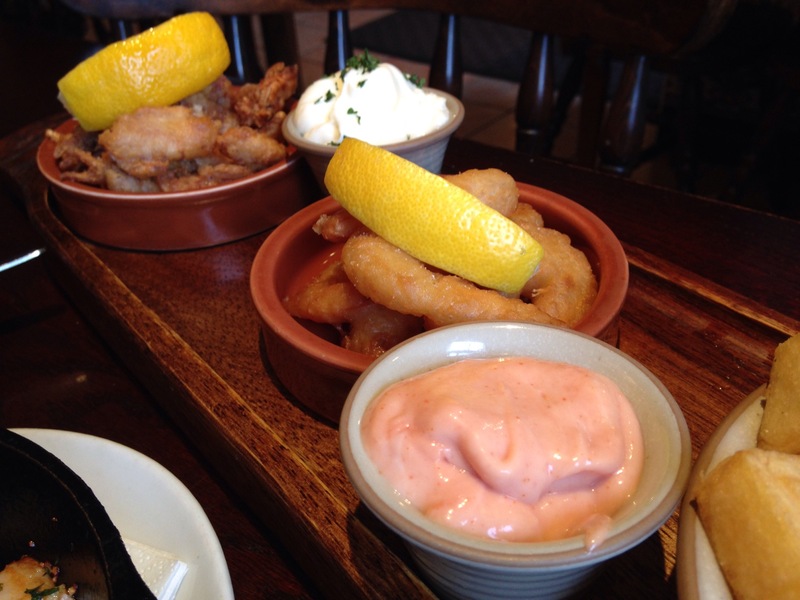 We had a prawn dish each because Mr S wanted the battered prawns with garlic mayo and I wanted the Gambas pil pil. He was happy with his prawns and I was enjoying mine. A little more chilli and garlic wouldn’t have gone amiss but they were still good. 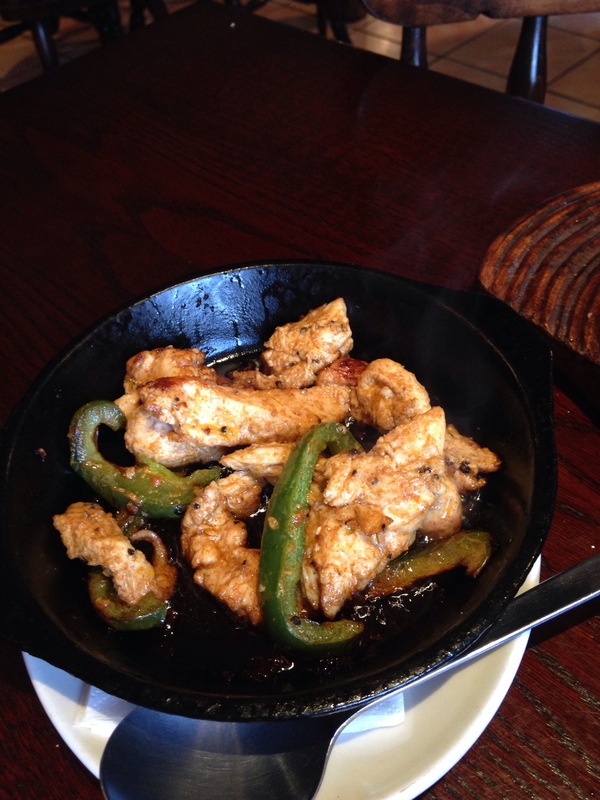 Our meat choice was pollo chisporroteante, which is sizzling chicken strips marinated in mojo sauce and fried with onions and peppers. It was yummy! Full of flavour, the chicken wasn’t dry and the oily pan sauce was perfect for mopping up with bread. 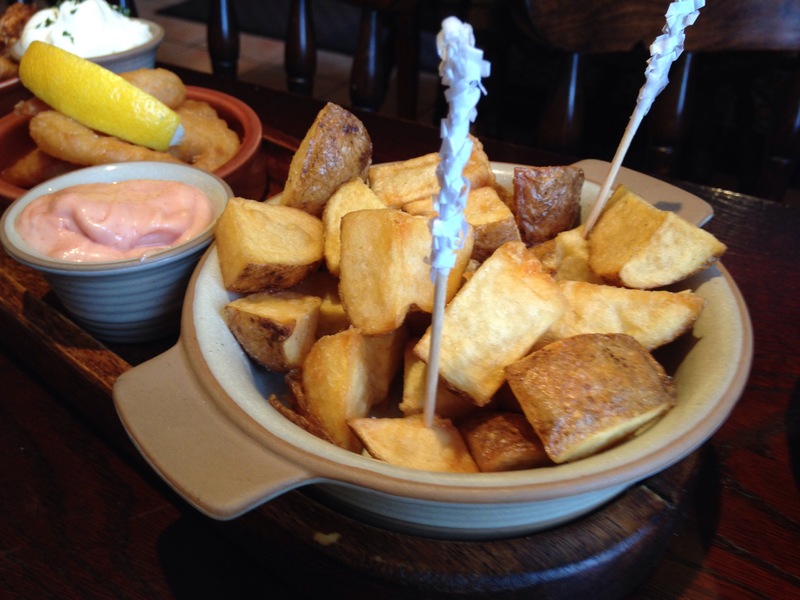 We had patatas bravas to accompany the meat and the ‘chips’ were soft in the middle but golden on the outside. The sauce is usually spicy but this lacked flavour. 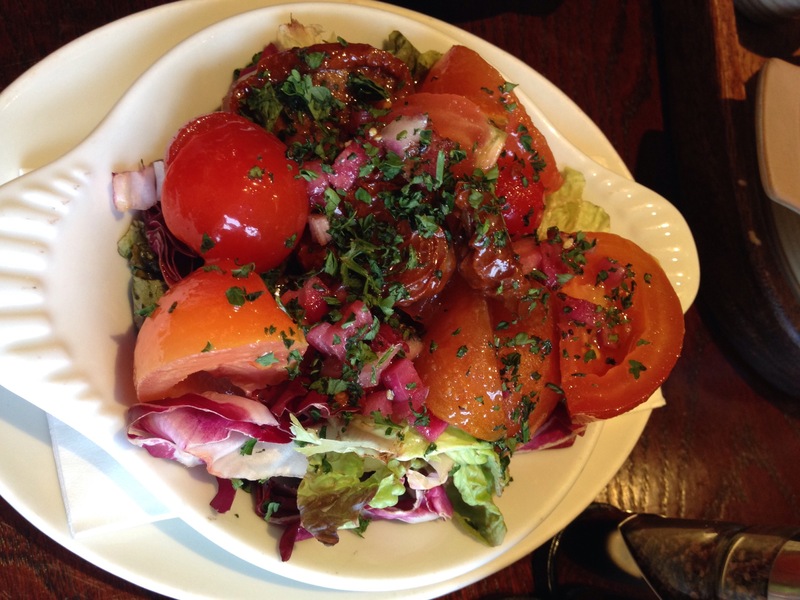 A tomato salad finished our selection of goodies well and provided some much needed veg. We left after lunch with full bellies and contented smiles… I think we’ve got our first favourite.